How the Judy Garland biography came to be. Last January, I was hired to write picture book text for three books on Judy Garland. The largest of the three would be 1,000 words and be written at a fifth or sixth-grade level. But like most non-fiction writers, I over researched the topic and had way more information than I could possibly squeeze into 1,000 words. So what to do with all that extra information? I really didn’t know, until Atombank Books agreed to let me write the biography on Mary Dyer (Mary Dyer, Friend of Freedom). Seeing that as the first book in a potential series, I began tossing around historical figures I wanted to write about. From a commercial standpoint, I didn’t want them all to be as obscure as Mary Dyer, and then I remembered how I got the Judy Garland contract – kids today still know her name thanks to the magical endurance of The Wizard of Oz. 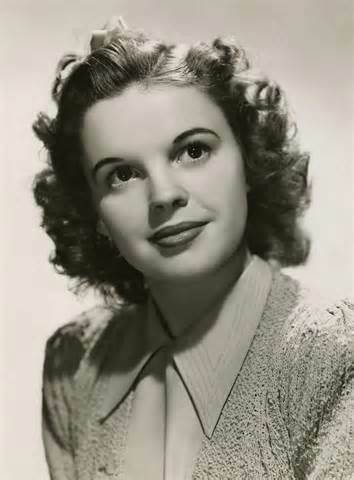 But knowing who Judy Garland was isn’t the same as knowing a lot about her. And that’s when I came up with the idea of writing the second book in Atombank’s Big Biography series. It turns out, Judy Garland as a middle-grade biography is a great fit! So, now I’m busy putting some old facts and plenty of new ones into a 9,000-10,000-word biography on one of the greatest entertainers of the 20th century. 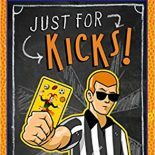 The vocabulary hasn’t had to shift much since it’s still a middle-grade biography for 3rd-7th graders, but I can include so much more information, with sidebars, breakouts, captions, pictures, a timeline, etc. I’m also free to explore the abuse of child stars, the studio system, the Golden Age of Hollywood and other topics little seen in kidlit. Of course, making a picture book biography a middle-grade book isn’t as simple as adding more words – I have to add more facts and hold a reader’s attention for a much longer period of time. I also have to be careful about not adding too much so that it becomes boring, or, in Judy’s case, a bit too “mature.” Still, she had a fascinating life and that makes it easier to convert a tiny picture book biography into a full-blown story of an immensely talented woman. Look for Judy Garland: Little Woman, Big Talent in November (expected release date is November 11)! Congrats! Sounds like another great book of interest. This entry was posted on June 16, 2014 by johnbriggsbooks in Judy Garland and tagged children's books, Judy Garland, middle-grade, non-fiction children's books. american history.